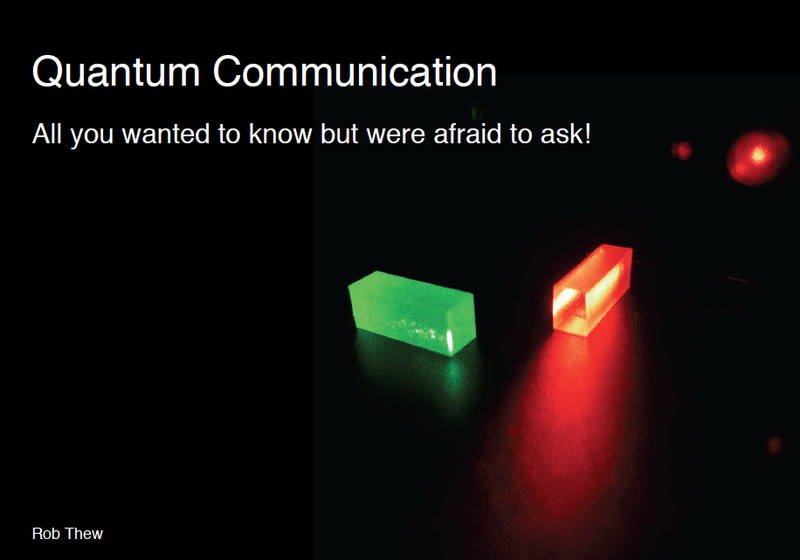 We have put together a short introductory level book on quantum communication and quantum repeaters. QuReP's introductory film on quantum communication, quantum repeaters and what we are trying to do. Enjoy! 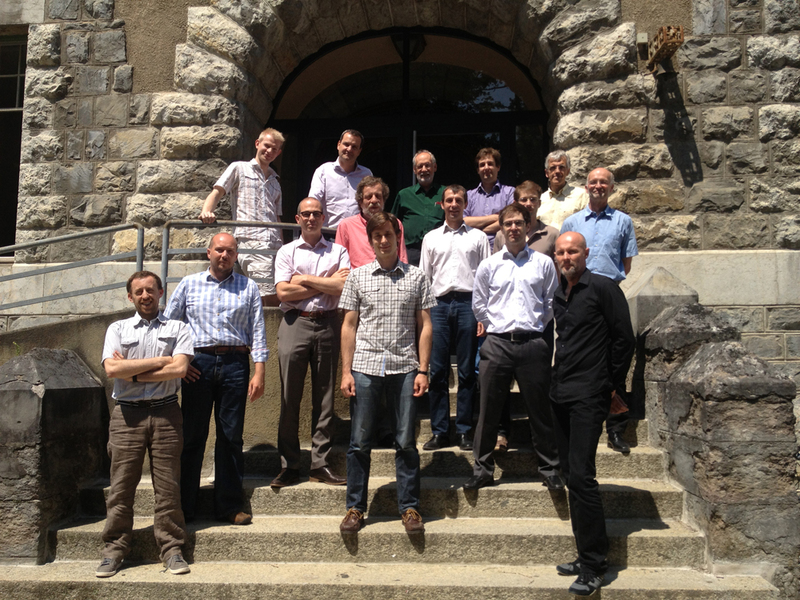 In the end we were even able to manage good weather for a project revue meeting! Jean-Louis Le Gouët (CNRS-LAC Paris), Rob Thew (Geneva), Stefan Kröll (Lund). QuReP Partner IDQ just finished its fifth in an increasingly popular series of Winter Schools. 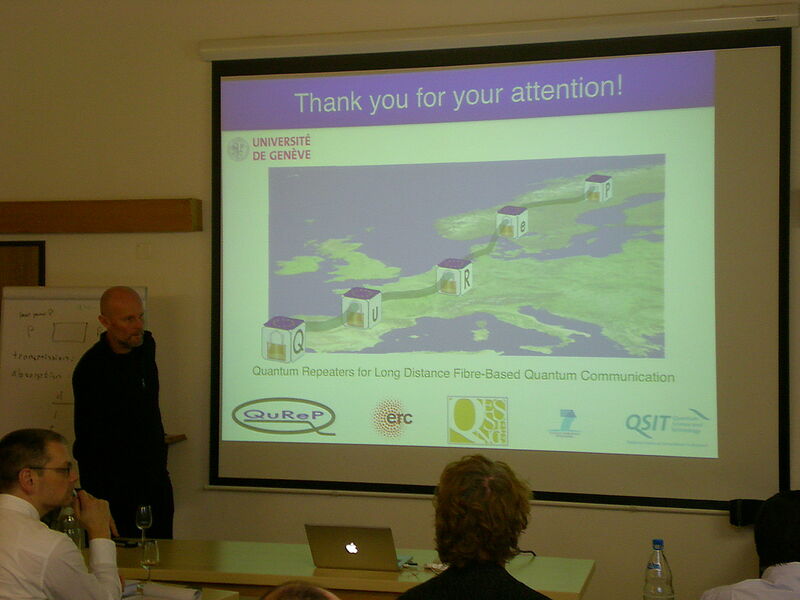 This year the programme was extended to include Quantum Computing as well as a day dedicated to Quantum Repeaters, with Lectures given by QuReP researchers Nicolas Gisin, Mikael Afzelius and Rob Thew from the University of Geneva. As the QuReP project heads into its final six months, this was a perfect opportunity to talk to the diverse audience that these Winter schools attract. The feedback from the physics students, security specialists and various industry-oriented participants revealed a high degree of interest in the quantum technologies that QuReP is trying to develop. Does it have a future? Classic cryptology isn't budging, but all depends on QKD. 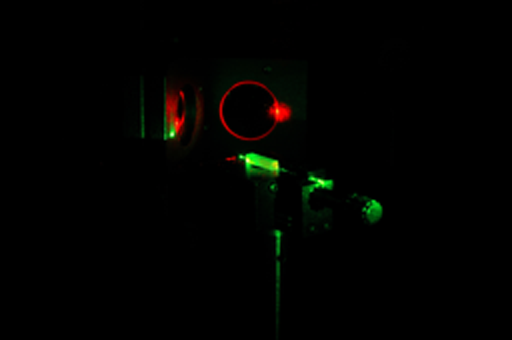 There was a nice article recently by Chris Lee in Ars Technica on Quantum cryptography... This gives a very nice overview of what quantum cryptography is about for the general public. Added bonus of interviews from QuRep partners Nicolas Gisin from the University of Geneva and Matthieu Legré from id Quantique. Includes a nice video explaining the BB84 protocol.